Every year or so, there’s a new buzzword that marketers flock to like gold in them there hills. And yet the only people who make money from it are those selling pickaxes and gold pans. You should read this blog if you’ve grown tired of all the buzzwords rolling around digital marketing these days. I’ve been in the game for a while, and I am sick and tired of being sick and tired. Twitter wants to be a media company, and its efforts to become one have created a lot of collateral damage. That’s not at all surprising: when the company was positioned as a communications platform with an open API, developers flocked to take advantage of the connately-flowing river of data that Twitter produces. But many of those developers, as well as companies like LinkedIn, had to be cut off as Twitter’s desire to be a media company realistically requires it to control the user experience, and how its content is displayed, in consumer channels. 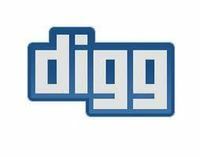 Social news site Digg was once one of the most popular services on the internet. 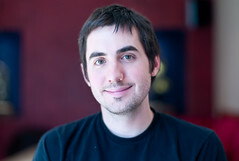 An early social media darling, Digg and its founder, Kevin Rose, were the subject of numerous high-profile articles, including an embarrassing (and not-entirely-accurate) BusinessWeek cover piece with the headline How This Kid Made $60 Million In 18 Months. It wasn’t just the media lavishing attention on Digg: investors poured big money — some $45m in total — into the company. But what goes up often comes down and as it turned out for Digg, the company’s future was not going to be nearly as bright as its early years. Yesterday, the company’s assets, including the code for the Digg site itself and its domain, were sold to New York-based development firm Betaworks for a reported $500,000. Can YouTube’s founders make leftovers Delicious? Social media may be alive and well, but some of the most prominent web properties that rose during ‘Web 2.0‘ have seen better days. From Digg to Delicious, if the rise and fall of companies that were supposed to change the web, if not the world, reminds us of anything, it’s this: the consumer internet market evolves rapidly, and can be as brutal to the losers as it is rewarding to the winners. But can a Web 2.0 has-been be brought back to life by a couple of entrepreneurs who built one of its biggest winners? Steve Chen and Chad Hurley, who founded YouTube, hope so. Digg’s demise: are VCs and founder cash-outs partly to blame? 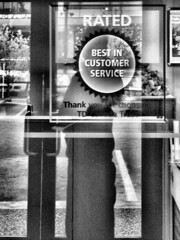 yesterday’s 37% staff reduction don’t bode well for its future prospects. For Digg to survive and thrive once again, it’s going to have to beat the kind of odds that few companies do. changing the fundamental dynamics of information distribution. But a new CNN study hints that some of the hype around this notion has been overblown. Is ‘mafia sourcing’ really a bad thing? Social media and Web 2.0 (a term that, incidentally, we don’t hear much of anymore) were supposed to make the internet a more democratic place. On today’s internet, just about everybody has a printing press, and the little guy has equal opportunity to distribute a message. The best, we’re often told, will rise to the top. Of course, anyone who is involved with user-generated content and the popular web services through which user-generated content is shared and promoted, eventually learns that the internet isn’t as democratic as it’s supposed to be. Is Digg digging itself into a hole with its new design? Digg may have been a Web 2.0 pioneer, but out of all the mature startups loosely grouped into the ‘social media’ category, it’s one of the companies some might argue is well past its prime. While other upstarts born around mid-decade, such as Facebook and Twitter, continue to rise, Digg seems to be treading water. That, of course, is not to say that Digg isn’t very popular. It is. And that’s not to say that it can’t do wonderful things for publishers who hit the front page. It can. But for both consumers and publishers alike, the Facebook and Twitters of the world have largely become more important when it comes to sharing and discovering interesting content on the web. Metrics matter. Every online publisher and every digital marketer knows this. In a new article, BusinessWeek’s Sarah Lacy asks the question: is the ‘unique user‘ metric an endangered species? Hellomagazine.com, the online version of the celebrity magazine, was redesigned a couple of months ago. I’ve been having a look around the Hello website to see if the revamp has improved the site, and how it compares to those of its rivals; sites like iVillage, More, and heatworld. wishing to engage with their customers via social media. It would appear to have been well received and I hope it helped provoke some thought around this subject. One tip which received a lot of attention was “Forget ROI” and because this appeared to be a hot topic of interest, I thought I’d offer a little more detail and context around this and provide some further thought of how a return (in some shape or size) could be measured and then used to build a business case. I hope it helps.